in my own life, it was always because of a general notion that pesticides are bad… they kill living beings, of which I am one, so I always assumed that it would be bad for me. In our research we came across a fantastic non-profit working towards educating people about pesticides and the consequences pesticide use is having on our environment and our health, Pesticide Action Network (PAN), North America. On their website they offer many informational articles on how pesticide use is harming us… information backed by solid scientific research… not just a “notion” that pesticide use is bad for us. PAN is working hard to make changes by reducing pesticide use and finding pesticide alternatives in hopes to have a smaller impact on our health and environment. For more information about the organization and their efforts, visit www.panna.org. Every day The Natural Sleep Store celebrates the beauty of caring for our Earth and our precious health by selling only products that are made from natural, organic and sustainable materials. 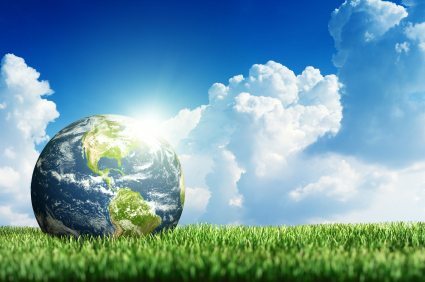 This year, in honor of Earth Day, The Natural Sleep Store is going to donate $100 dollars for every mattress well sell from April 20th to April 26th to PAN North America. The Natural Sleep Store is aligned with PAN North America’s mission by selling only healthy, sustainable products that do not use any pesticides or harmful chemicals. It is our hope that by donating to PAN North America as well as continuing to offer excellent products with low environmental impact, we can help get our society closer to a healthy sustainable Earth that will thrive for many generations to come.